Product categories of Folding Gift Box, we are specialized manufacturers from China, Folding Gift Box, Exquisite Folding Gift Box suppliers/factory, wholesale high-quality products of The Eco-Folding Gift Box R & D and manufacturing, we have the perfect after-sales service and technical support. Look forward to your cooperation! 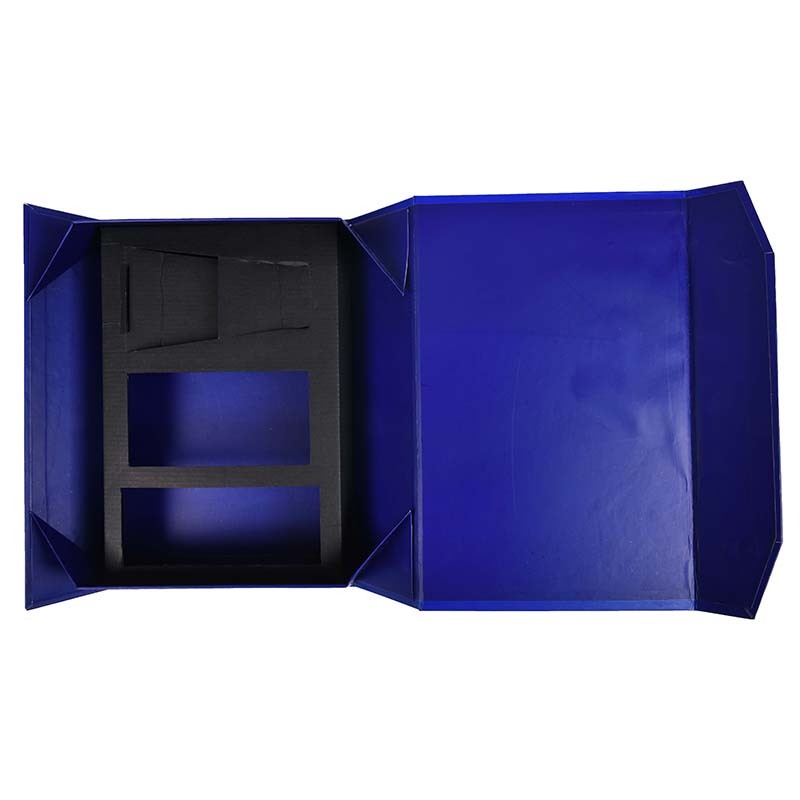 Folding Gift Box packaging is made from various kinds of cardboard or colored small corrugated cardboard. When the folding Gift Box is manufactured, the main process is printing, surface processing, die-cutting indentation, box making, and the like. The flat unfolding structure of the folded gift box is composed of contour cutting lines and indentation lines, and is formed by die-cutting indentation technology. Molding is the main process feature of folding gift boxes. Folding gift boxes have higher requirements on the quality of die-cutting indentations, so the specifications and dimensions are strict, and thus die-cutting indentation is one of the key processes for the folding gift box manufacturing process and is the basis for guaranteeing the quality of folded gift boxes.